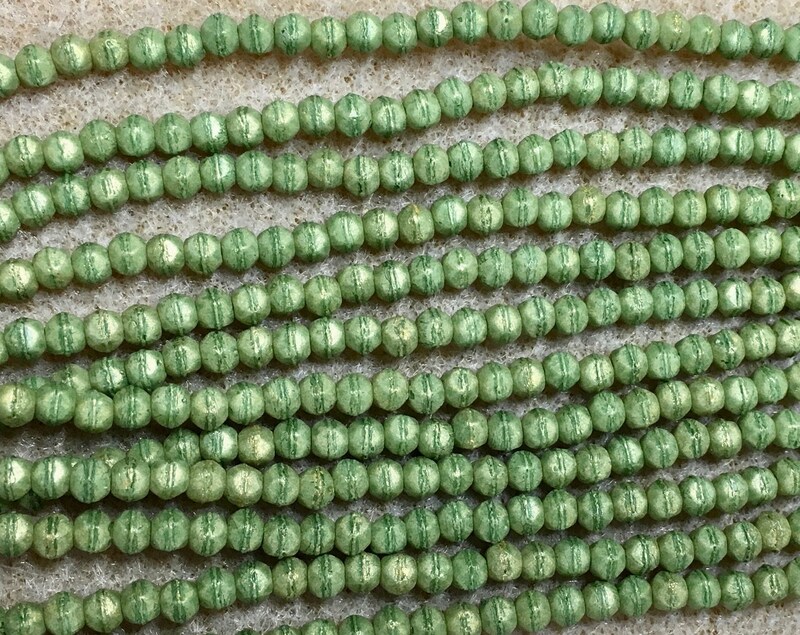 Pacifica Avocado green Czech pressed glass tiny English cut beads. These vintage style little beads are 3mm in size. They are made in the style of rough cut beads from the 19th Century. They can be used with patterns calling for 3mm fire polished crystals or other 3mm beads. There are approx. 50 beads per strand. I love my green, great service.